Most people with insurance coverage, when faced with a lawsuit, simply want it to go away. But when that doesn't happen, because the insurance company is unwilling to settle, the insured may rightfully be concerned about becoming subject to an excess verdict—that is, a monetary judgment greater than the policy limits. The consequences of an excess verdict to an average individual or small business can be financially devastating. However, under some circumstances the non-settling insurer will be held responsible. It is well-settled based on the Court of Appeals decision Pavia v. State Farm, 82 N.Y.2d 445, 453 (1993) that in a third-party bad-faith action the insurer will be held responsible for satisfying an excess verdict if: (a) it lost the opportunity to settle the case for within the policy limits when it was highly probable there would be an excess verdict; and (b) the insurer acted in "gross disregard" of the insured's interests. This is reasonably clear. But what happens when there is the spectre of punitive damages looming over the insured and still the insurer is unwilling to settle? Does the insurer, if it has acted in bad-faith and there is an excess verdict, have to foot the bill? Answering this question in the negative, the Appellate Division, First Department, in Seldon v. Allstate Insurance Company, 116217/08, 2013 NY Slip Op 01628 (1st Dept. March 14, 2013) explained in a brief one-paragraph decision: "Public policy precludes an insured from recovering the punitive damages portion of any judgment which may have resulted from the insurer's bad faith failure to settle." The effect of this decision, and the long-standing precedent on which it is based, is that insureds who engage in conduct that might trigger a punitive damages award have an increased concern of being subject to an excess verdict. And punitive damage awards are typically not of a trifling amount. Pavia will still govern in the compensatory damages portion of the verdict, but for punitive damages whether the insurer acted in bad faith in handling the third-party claim is irrelevant. Seldon's genesis is a Court of Appeals decision from nearly 20 years earlier, Soto v. State Farm Insurance, 83 N.Y.2d 718 (1994), which is weighted with public policy arguments for why the insured should ultimately have to pay out of its own pocket the punitive damage component of an excess verdict, even if it could have been avoided with the insurance company settling for within the policy limits. Both Seldon and Soto are consistent with New York law which prohibits the purchase or sale of insurance coverage for punitive damages. If it were otherwise, so the thinking goes, it would allow individuals and businesses to engage in wanton and wicked behavior without fear of repercussions. They could act as badly as they desired with seeming impunity, unless subject to criminal prosecution. There exist, of course, countervailing policyholder arguments. The average policyholder would assume that there is coverage for a punitive damages award, and such an award can financially wipe out the average individual or small business. Moreover, the underlying purpose of punitive damages can be construed quite differently in this context. It can reasonably be said that punitive damages act as a more effective deterrent against insurance companies, whose daily business involves making litigation decisions that concern its insured's rights and interests than, say, a different type of defendant such as an automobile driver, or even a person who commits an intentional assault. One who acts out of anger or hate, for instance, in committing assault or libel, is not likely to be deterred by the fear of punitive damages. On the other hand, those who deliberately and cooly engage in a far-flung fraudulent scheme, systematically conducted for profit, are very much more likely to pause and consider the consequences if they have to pay more than the actual loss suffered by an individual plaintiff. If an insured may be held responsible for punitive damages, should not an insurer that has acted in bad faith also be responsible for them? In fact, the Pavia standard for third-party bad-faith actions is identical to that for punitive damages in New York. 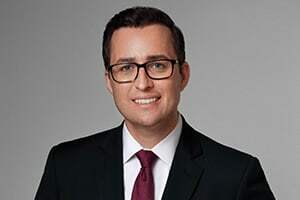 Courts have set forth the standard for punitive damages as a "showing of conscious disregard of the rights of others or conduct so reckless as to amount to such disregard." There is hardly any breathing room between this standard and the "gross disregard" standard from Pavia. Yet a successful bad-faith plaintiff is more limited in terms of the scope of its potential recovery, only being able to obtain compensatory and not punitive damages. Put another way, while essentially the same standard applies in each type of case, say, a negligence action that also seeks punitive damages and a third-party bad-faith action, and although the two cases may be related because the latter stems from an excess verdict in the former, the insurance company, when placed in the role of defendant, is more insulated from liability. The cause of this disparity may be that New York, along with a minority of other jurisdictions, have determined that bad-faith insurance actions have their roots in breach of contract, which requires the more strict standard for an award of punitive damages that the defendant's conduct has been aimed at the public generally. Therefore, the underlying controversy that results in a bad-faith action against an insurer, whether it was for negligence or libel or some other tort, will be accorded a different legal standard. Nevertheless, there is a disparity between how insured and insurers are treated under the law in the context of third-party insurance denials. If punitive damages are awarded, the insured will be liable for them while the insurer will not, no matter how egregious its conduct. Eric Dinnocenzo is a solo practitioner at the Law Offices of Eric Dinnocenzo.
. See also Vecchione v. Amica Mut. Ins. Co., 274 AD2d 576, 711 N.Y.S.2d 186 (2d Dept. 2000).
. Hartford Acc. and Indemnity Co. v. Hempstead, 48 N.Y.2d 218, 226-27 (1979).
. Walker v. Sheldon, 10 N.Y.2d 401, 405 (1961).
. Soto, 83 N.Y.2d at 722; Pub. Serv. Ins. v. Goldfarb, 53 NY2d 392, 400 (1981).
. Hartford Acc. and Indemnity Co., 48 NY2d at 227-228.
. Walker, 10 N.Y.2d at 406 (1961).
. Welch v. Mr. Christmas, 57 N.Y.2d 143, 150 (1982) citingHartford Acc. and Indemnity Co., 48 N.Y.2d at 229; see also Liberman v. Riverside Chapel, 225 AD2d 283, 291, 650 N.Y.S.2d 194 (1st Dept. 2009).
. The phrase "gross disregard" is further defined in Pavia as "a pattern of behavior evincing a conscious or knowing indifference to the probability that an insured would be held personally accountable for a large judgment if a settlement offer within the policy limits were not accepted." 82 N.Y.2d at 453-54.
. See New York Univ. v. Continental Ins. Co. , 87 N.Y.2d 308, 315 (1995); Acquista v. New York Life Ins. Co. , 285 AD2d 73, 78, 730 N.Y.S.2d 272 (1st Dept. 2001).